The CUNY Food Collaboratory is a community of CUNY faculty, staff and students who share interests in food policy, food justice, nutrition and related fields. Use this list to find CUNY faculty who are engaged in food-related research, service or teaching work. To add your name or request changes to the information listed, email urbanfoodpolicy@sph.cuny.edu. Click on a faculty member's name for their campus web page, when available. We have included select publications when provided. Research Interests: I am most interested in issues of food justice, specifically access to and affordability of nourishing, healthy food. I just finished a semester working as a legal advocate with the Economic Justice Project, a clinic within CUNY Law's Main Street Legal Services. I represented clients who are CUNY students and food insecure, and I would like to further explore how CUNY can continue to advocate for the resources necessary to meet the needs of these students. Research Interests: food and nutrition-related inequities and disparities, urban agriculture, local food systems, and food justice. Burt, KG, Koch, P, & Contento, I. (2017). Implementing and Sustaining School Gardens by Integrating the Curriculum. Health Behavior and Policy Review, 4(5), 427-435. Burt, KG, Koch, P, & Contento, I. (2017). Development of the GREEN (Garden Resources, Education, and Environment Nexus) Tool. Journal of the Academy of Nutrition and Dietetics, 117(10), 1517-1527. Burt KG, Koch P, Uno C, and Contento, I. (2016) The GREEN Tool (Garden Resources Education Environment Nexus) For Well-Integrated School Gardens. Laurie M. Tisch Center for Food, Education & Policy at the Program in Nutrition, Teachers College, Columbia University. Research Brief. Burt, KG. (2016). A Complete History of the Social, Health, and Political Context of the School Gardening Movement in the United States: 1840–2014. Journal of Hunger & Environmental Nutrition, 11(3):297-316. The New Diabetes Cookbook: 100 mouth-watering, seasonal, whole foods recipes. Sterling publishers, 2015. Reynolds K, Cohen N. Beyond the Kale: Urban agriculture and social justice activism in NYC. Athens, GA: The University of Georgia Press; 2016. Freudenberg N, Cohen N, Fuster M, Garza S, Johnson D, Poppendieck J, Rafalow A, Sheldon M, Silver M, Srivastava A, Eating in East Harlem: An Assessment of Changing Foodscapes in Community District 11, 2000-2015. 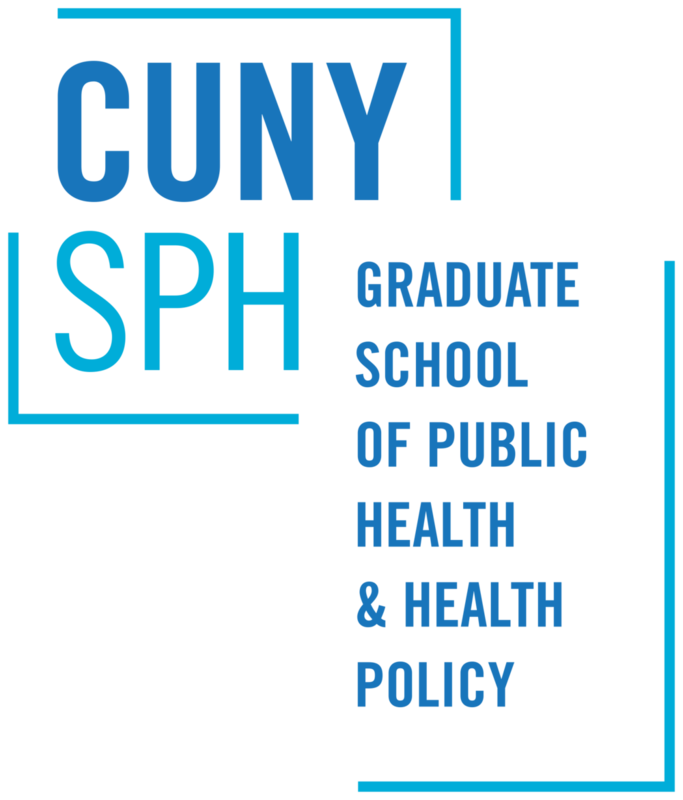 CUNY School of Public Health and New York City Food Policy Center at Hunter College, 2016. Edelman M, Borras S. Political Dynamics of Transnational Agrarian Movements: Agrarian Change and Peasant Studies. Fernwood Publishing, 2016. 2014 "Linking the Rights of Peasants to the Right to Food in the United Nations," Law, Culture and the Humanities 10(2) (June): 196-211. 2014 "Food Sovereignty: Forgotten Genealogies and Future Regulatory Challenges," Journal of Peasant Studies 41(6) (Nov.): 959-978. Edelman M (editor). Global Land Grabs: History, Theory and Method. Routledge 2015. Flórez KR, Richardson A, Beckman R, Ghosh-Dastidar B, Huang C, Wagner L, Dubowitz T. (Forthcoming 2016). Improved parental dietary quality is associated with children’s dietary intake through the home environment. Obes Res Pract. Flórez KR, Abraído-Lanza AF. (Forthcoming 2016). Segmented assimilation: A novel approach to studying acculturation and obesity among Latino adults in the United States. Fam Comm Health. Flórez KR, Ghosh-Dastidar MB, Beckman R, de la Haye K, Duru OK, Abraído-Lanza AF, Dubowitz T. The Power of Place: Social Network Characteristics, Perceived Neighborhood Features, and Psychological Distress among African Americans in the Historic Hill District in Pittsburgh, Pennsylvania. Am J Community Psychol. 2016 Sep; 58(1-2):60-8. doi: 10.1002/ajcp.12086. Epub 2016 Sep 9. PubMed PMID: 27612324. Flórez KR, Dubowitz T, Ghosh-Dastidar MB, Beckman R, Collins RL. Associations between depressive symptomatology, diet, and body mass index among participants in the supplemental nutrition assistance program. J Acad Nutr Diet. 2015 Jul; 115 (7):1102-8. doi: 10.1016/j.jand.2015.01.001. Epub 2015 Mar 10. PubMed PMID: 25769748; PubMed Central PMCID: PMC4484316. Research Interests: Food policy, foodways, chronic disease. Research Interests: Food culture, comparative food policy, lay and expert notions in relation to food, with emphasis on immigrant and Latin American populations. Fuster, M., E. Messer, R.F. Houser, P. Palma de Fulladolsa, H. Deman, and O.I. Bermudez (2014). “Local notions of healthy eating and national dietary guidelines: A comparison in vulnerable Salvadorian communities” Food and Foodways 21(4): 288-314. Fuster, M. (2016) “Comparative analysis of dietary guidelines in the Spanish-Speaking Caribbean” Public Health Nutrition 19(4): 607-15. Fuster, M. (2015) “Writing Cuisines in the Spanish Caribbean: A comparative analysis of iconic Puerto Rican and Cuban cookbooks” Food, Culture and Society 18(4): 659-680. Research Interests: Food Stamps/SNAP Neighborhood Food Environments Diet-related diseases. Food in 19th-Century American Cities, Oxford Research Encyclopedia, Jonathan Butler, editor. Leung MM, *Agaronov A, *Buckley J, *Entwistle T, *Harry L, Freudenberg N.. Utilizing photovoice to understand youth perspectives of the food environment in East Harlem, New York. Health Promotion Practice, 2016; DOI: 10.1177/1524839916678404. Leung MM, Green MC, Tate DF, Cai, JW., Wyka K., Ammerman, AS. Fight for Your Right to Fruit: Psychosocial Outcomes of a Manga Comic Promoting Fruit Consumption in Middle-School Youth. Health Communication, 2016; DOI: 10.1080/10410236.2016.1211074. *Keeney M, Yeh MC, *Landman R, Leung MM, Gaba A., Navder K. Exploring the use of an iPhone App: a Novel Approach to Dietary Assessment. International Journal Of Nutrition, 2016; 1(4), 22-30. McNamara, G., Rennis, L. & Carlson, L. (2014). Impact of socio-environmental factors on college students’ vending food and beverage purchasing behaviors. The Food Studies: An Interdisciplinary Journal, 3(3), 89-100. ISSN: 2160-1933. McNamara, G. (2014). The effect of computerized feedback on college students’ dietary self-efficacy, knowledge, beliefs, and behaviors. The International Journal of Health, Wellness and Society, 3 (4), 93-100. ISSN: 2156-8960. Chronic Diseases: An Encyclopedia of Causes, Effects, and Treatments (Dec. 2016) edited by Jean Kaplan Teichroew. Santa Barbara CA: ABC-CLIO. McNamara contributed "Nutrition" and "Food Pyramid"
Research Interests: Social movements, food cultures, feminist issues. Rennis L, McNamara G, Seidel E, Shneyderman Y. (2015) Google it! : Urban community college students use of the internet to obtain self-care and personal health information. College Student Journal. 49(3), 414-426. Ethan D, Rennis L, Samuel L, Seidel E, Basch C. (2014). A review of college-level health textbooks for coverage of type 2 diabetes, prediabetes, and metabolic syndrome. Health Education Journal, 72(2), 217-227. Rutledge, Jennifer Geist. 2016. Feeding the Future: The Emergence of School Lunches as Global Social Policy, New Brunswick, NJ: Rutgers University Press. Rutledge, Jennifer Geist. 2015. “From Charity to Security: The Emergence of the National School Lunch Program.” History of Education 44:187-206. Rutledge, Jennifer Geist. 2015. “The Surprising Lack of Lunch: Gender and Food in Norway.” Food, Culture and Society 18:51-166. Rutledge, Jennifer Geist. 2013. “Home Grown School Feeding in Brazil and Africa: Competing Frameworks for Success.” Food Studies: An Interdisciplinary Journal 1:15 – 28. Han GM, Soliman GA, Meza J, Islam KM, Watanabe-Galloway S. The Influence of Body Mass Index on the Association between Serum Lycopene and Metabolic Syndrome. British Journal of Nutrition, 2016, Apr; 115(7):1292-300. PMID: 26857614. Research Interests: I am interested in developing a better understanding of factors defining access to food especially for low income urban populations.